This is the youngest kid in our class, and it’s very difficult to get his attention for more than ten minutes. Yesterday he was chewing the lead from a pencil. I attempted to make him spit it out but he didn’t understand it was bad for him, today he was doing magic tricks for me instead of learning and at the end of class he bought me this. 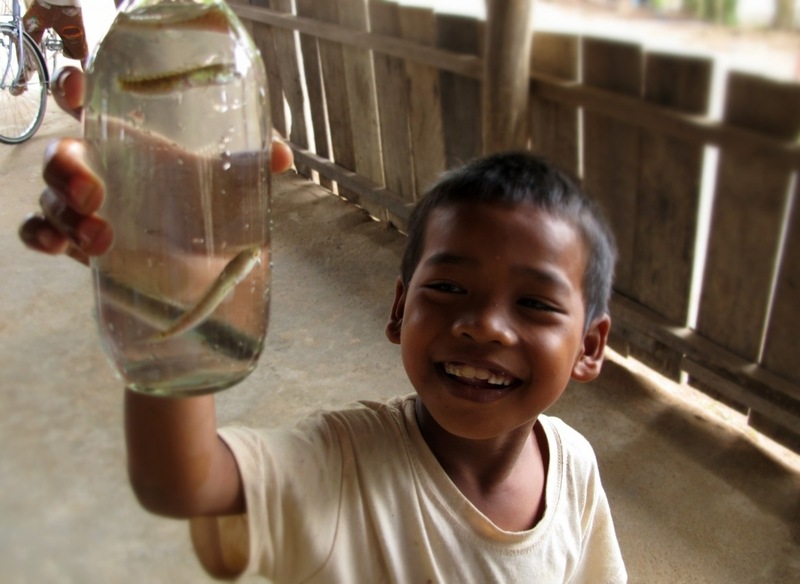 He’s not the only one that enjoys catching fish (or any animals/insect) of all the the kids at the orphanage either.